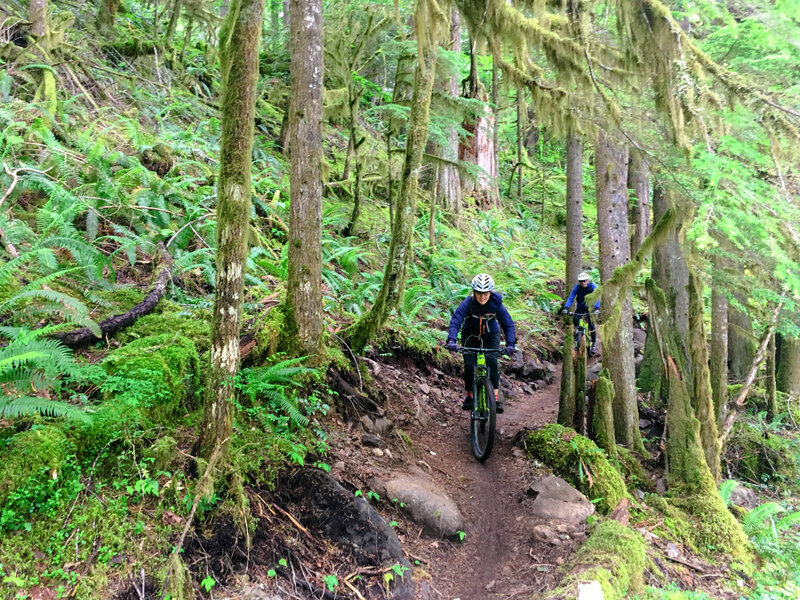 The McKenzie River Trail is a popular mountain bike trail near Bend that has been called North America’s best single-track. 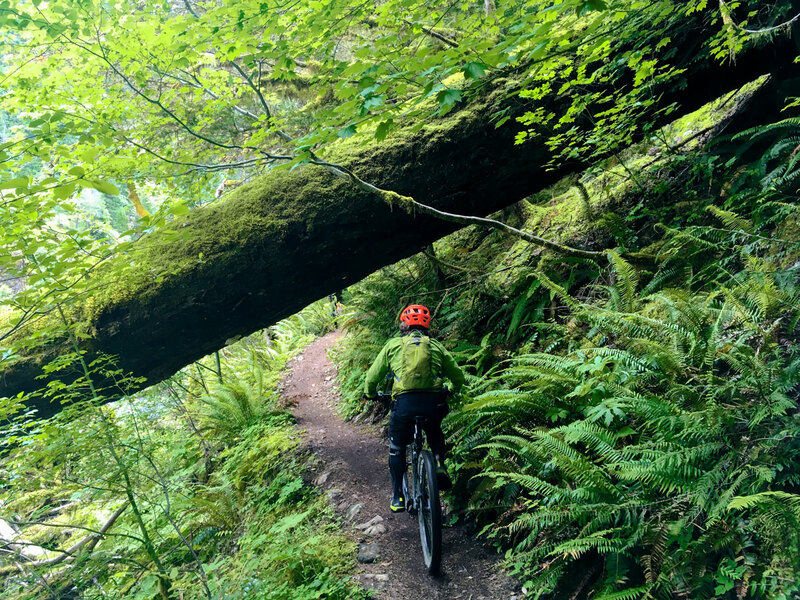 Though a bit of a drive from Bend, this thrilling trail through lush temperate rain forest and magma rock will please all mountain bikers! From Bend head north along the 97 for around 4.8km. Then turn onto US 20 towards Sisters and Salem. Follow highway 20 for just over 77.2km, staying left at the fork just past Hoodoo Ski Area. Then turn left to hop on the 126 and continue down the highway for 16.9km. Turn right towards the Trail Bridge Campground, go across the bridge then go right, heading up a level dirt road towards the trailhead for the Blue Pools.  Google has the parking as Tamolitch Trail Head. 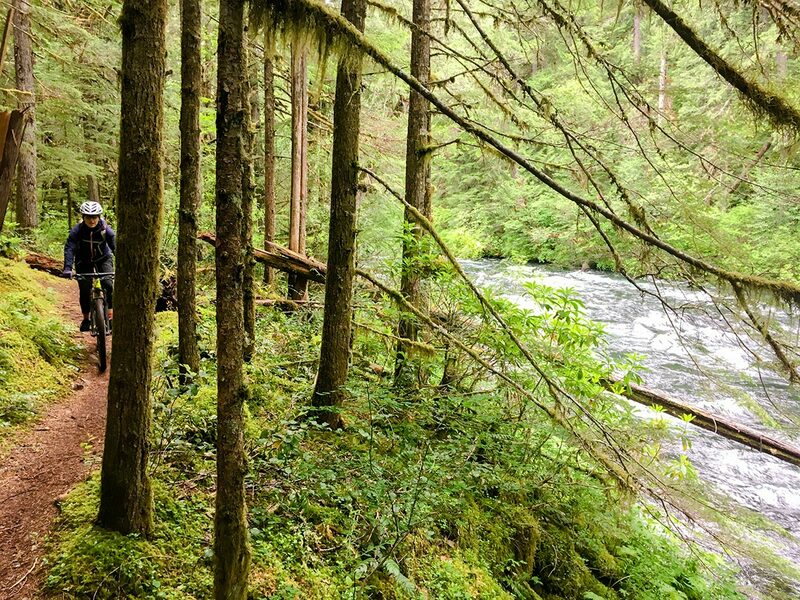 Choosing which section of the McKenzie River Trail (MRT) to do can be tricky, and it does impact where you park. 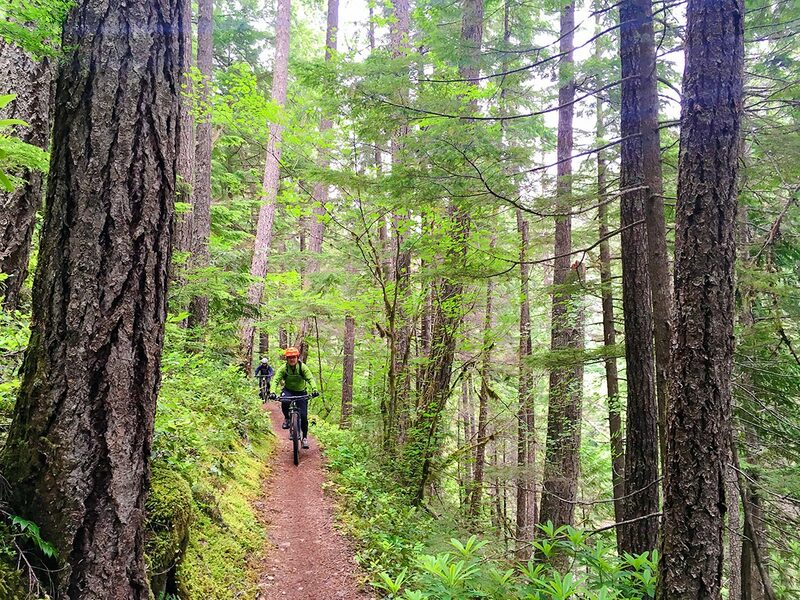 We highly recommend the entire trail, though it is a longer day out. Note that the upper part of the MRT is much more technically challenging. We chose to show the mellower lower half of the MRT. However, if you want to do the whole thing take the signed pullout on your left for the McKenzie River Trail (MRT) shortly after turning onto the 126 instead of the directions we have shown in ‘Getting There’. Regardless which trailhead you start at, you will require a shuttle, as doing this ride round-trip is almost inhuman. Many services in Bend, Sisters, and Belknap Springs offer a shuttle. However, if your party has two vehicles you can just do it yourselves! You’ll need the other vehicle at the end of the MRT. 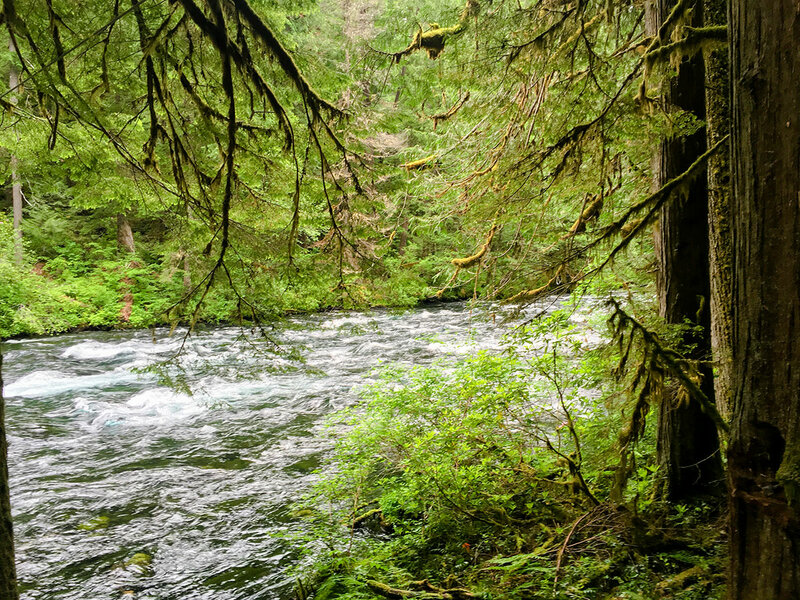 To get there, head down south along the 126 towards Belknap Springs to park your second vehicle at either the signposted end of the McKenzie River Trail or (if you want to skip the flat last 3.2km) at the Paradise Campground Day Use area. Regardless of where you park, take mental pictures of where the MRT crosses the road, as you will need to remember where to exit the trail on your way down! This description is for the lower half, and begins at the Tamolitch Trailhead. Find the trail 30m up the road from the parking area. Turn left and start a short climb. Though this trail trends downwards (after all, it follows the river’s flow), there are still a number of climbs to muster through. 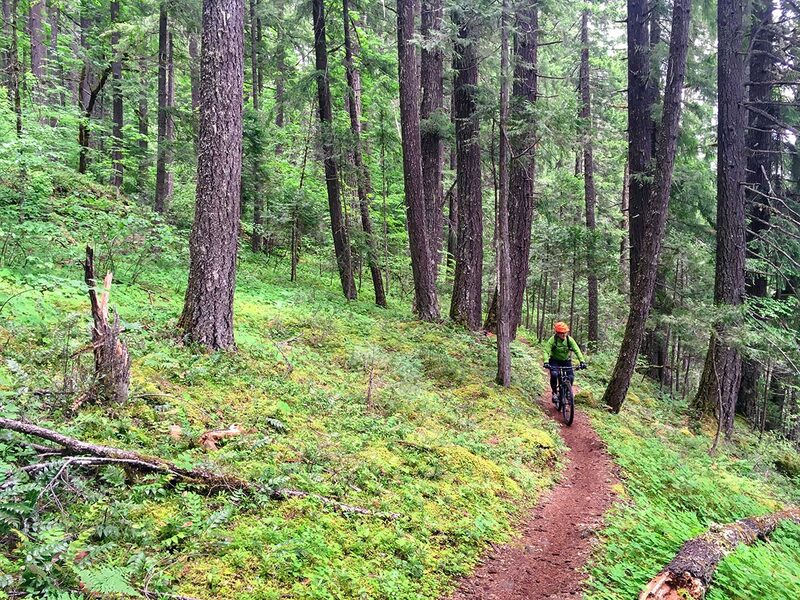 The reward for these climb, however, are fast, flowy, west coast style descents. The trend for the first half of this ride is undulating hills. You will gain a modicum of elevation, then enjoy a sustained descent. 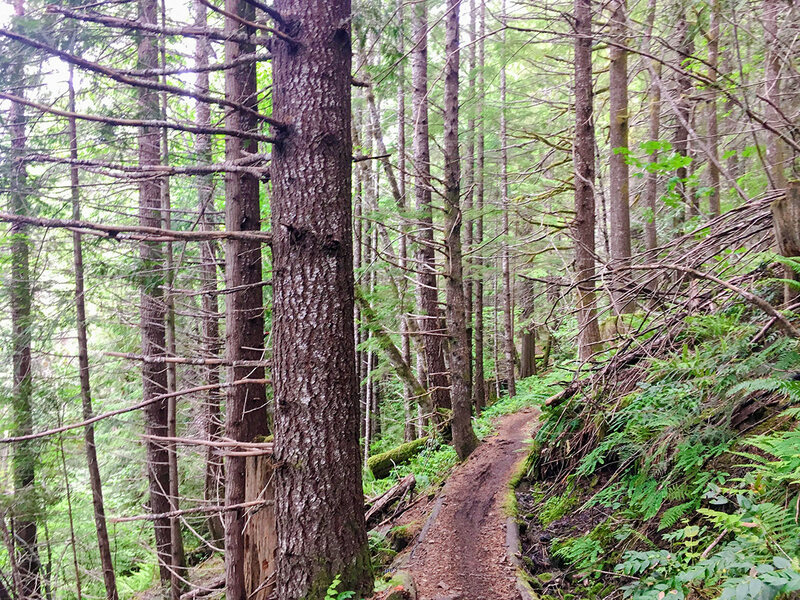 If you are coming from the amazingly smooth single track near Phil’s Trailhead, be warned that this trail is a bit more technical! It really feels like a trail right out of the West coast. Routes, rocks, and narrow switchbacks permeate the trail, and any photo you take could have easily come from Squamish or Whistler. That being said it should be noted that this trail is fun. 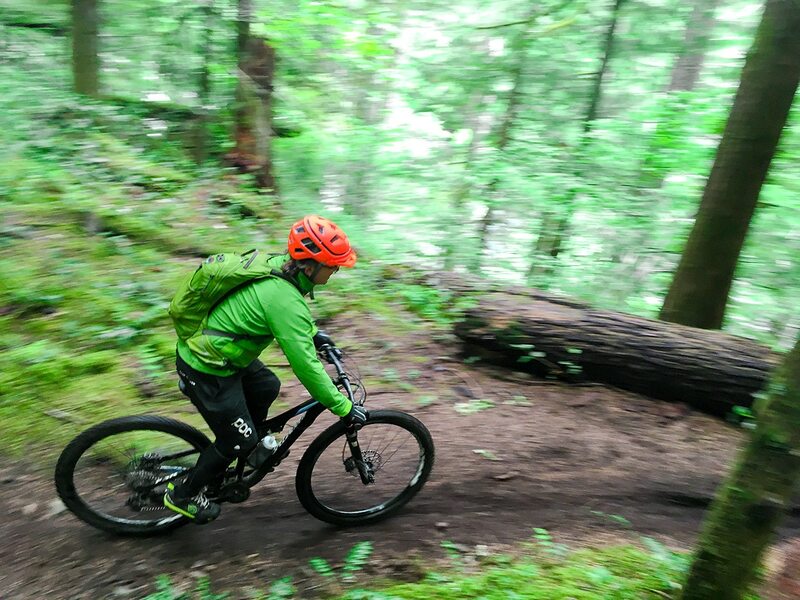 If speeding through a temperate rain forest isn’t good enough for you, there are plenty of rocks to huck off of to put a little thrill in the ride. 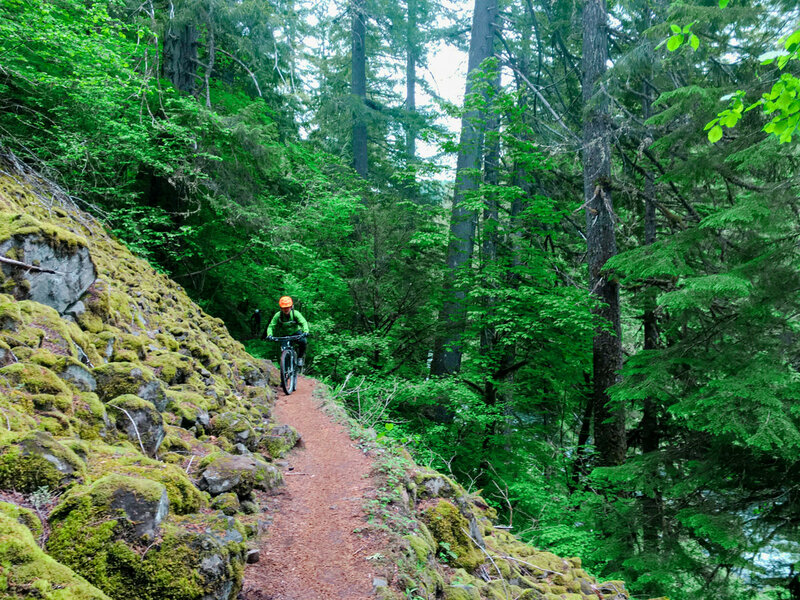 Another thrill inducing feature, unique to this section of trail, is the steep traversing you will have to do. After several of the afore mentioned climbs, you will have to traverse along the extremely steep slope lining the river, which at times feels like a cliff. Take your time here as falling could have serious consequences. As the trail continues the undulations reduce. Soon you will be closer to the river, cruising along stunning, flowy, single-track with your bike in the highest cog. 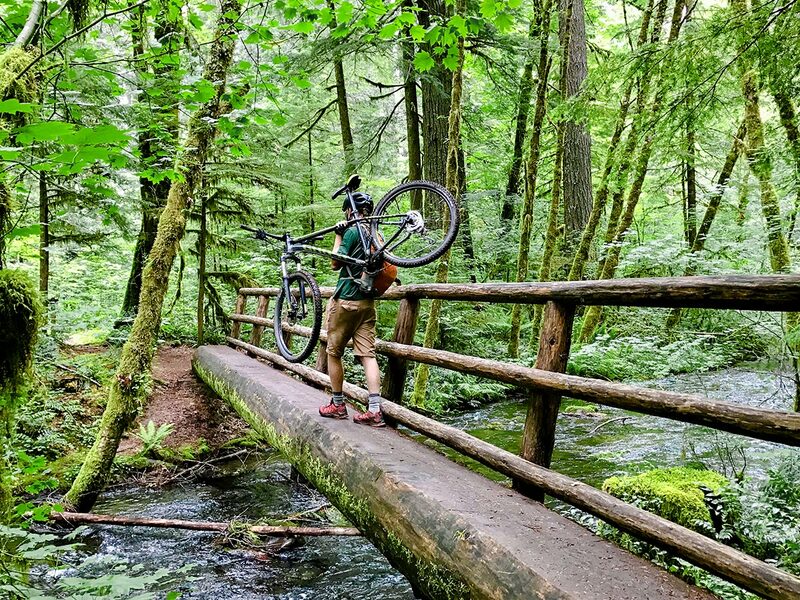 You will cross over many stunning bridges (where we recommend carrying your bike) and pass under some truly magnificent trees. Many times throughout the trail you will cross over logging roads. The trail is always well marked at these points, so don’t worry about taking the wrong route. 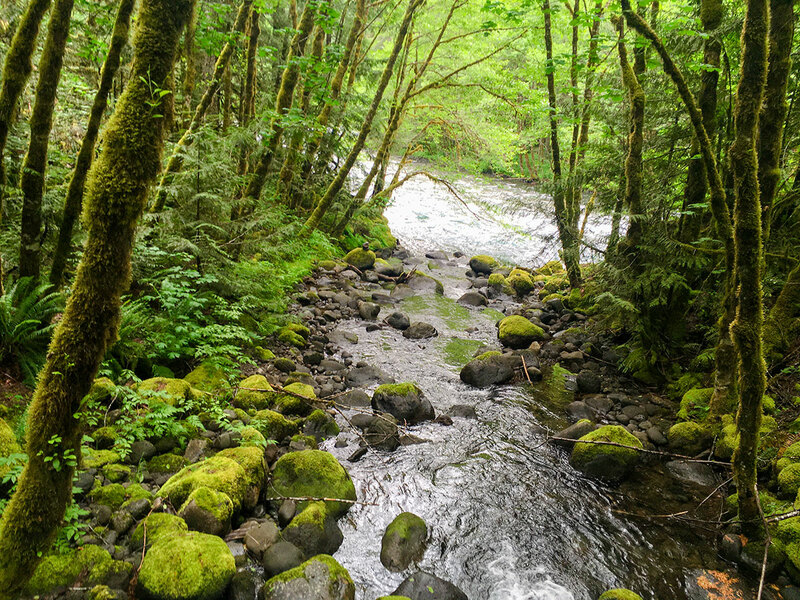 Once you cross over to the East side of the McKenzie River, look up. Now you will have to watch out for where you parked your second car! Find your car and drive up to grab your other shuttle vehicles! Note: When we last completed the trail, we were diverted by construction along the trail just shy of the end. This is why the trail map shows some riding on the highway! Pack a lot of food, this is a big ride! Definitely bring a rain jacket with you, at least in the car and decide whether or not to pack it at the trailhead. 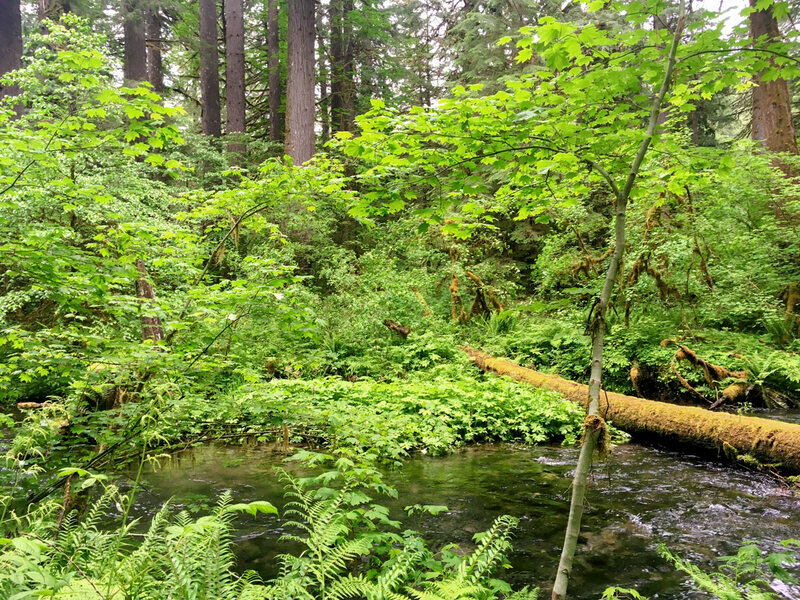 The weather in these forests can be drastically different than in the city.